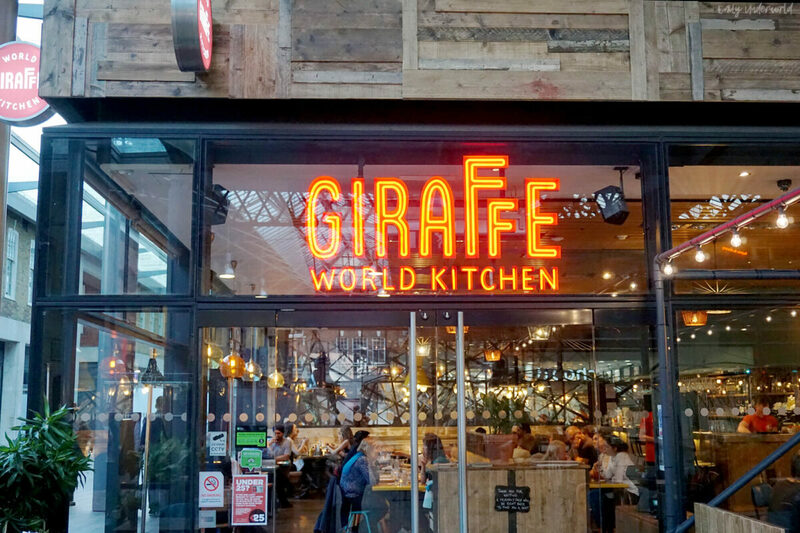 Last Tuesday I was lucky enough to get invited down to Giraffe World Kitchen in Spitalfields, which has recently been revamped. I’ve not been to Giraffe before, so I was excited to try out their menu, especially the desserts! 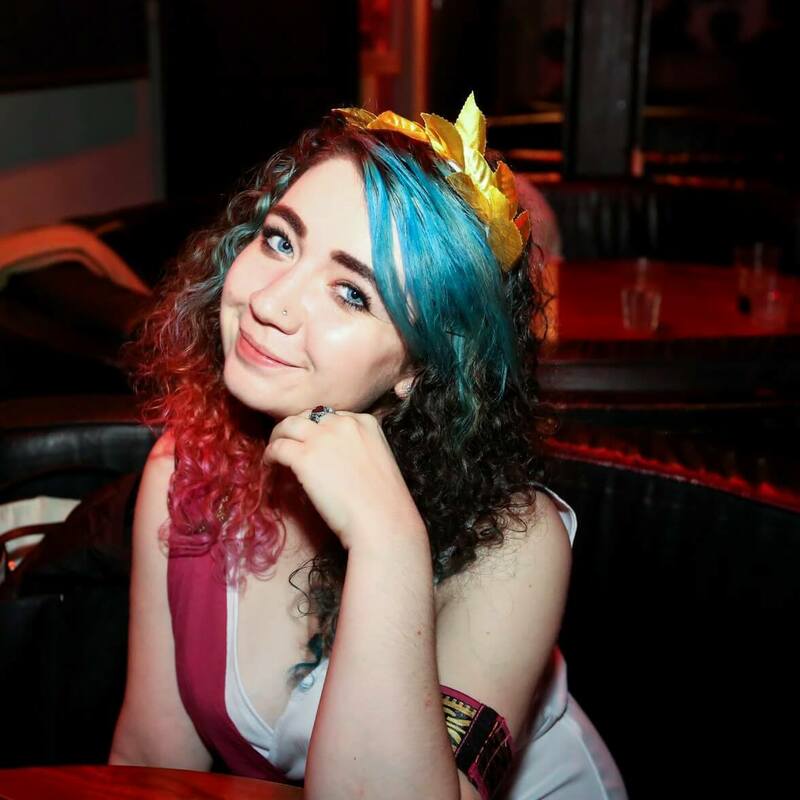 As you can see from my pictures, it’s a lovely and vibrant place, with a totally friendly vibe! The music was good, and the staff were wonderful. 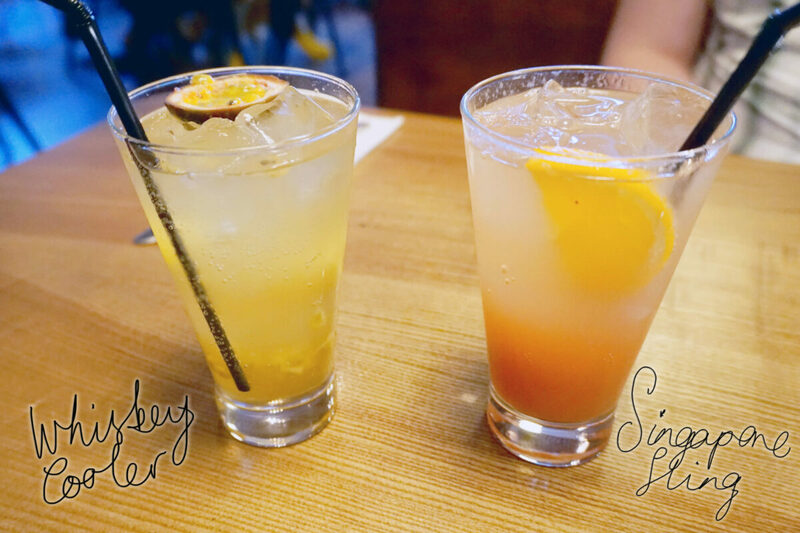 I’m a big cocktail fan, so I enjoyed trying out a few from their menu. We enjoyed them so much that we ended up buying ourselves a couple more to have with dessert. I definitely recommend the Singapore Sling, it was delicious! Giraffe’s cocktails are only £5 during Happy Hour, they’d be perfect to have with some tapas after work. 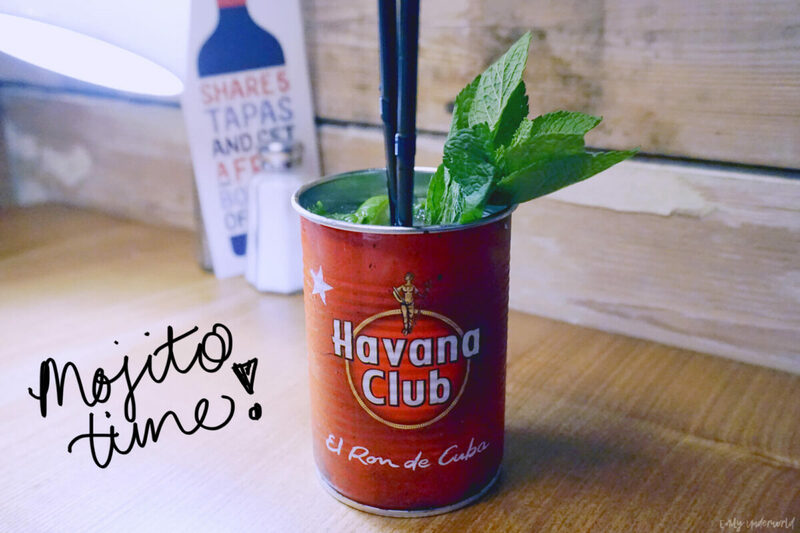 I love trying out mojitos in different places, because they’re one of my all-time faves, but they’re always slightly different. This one was strong and sweet, it was great! 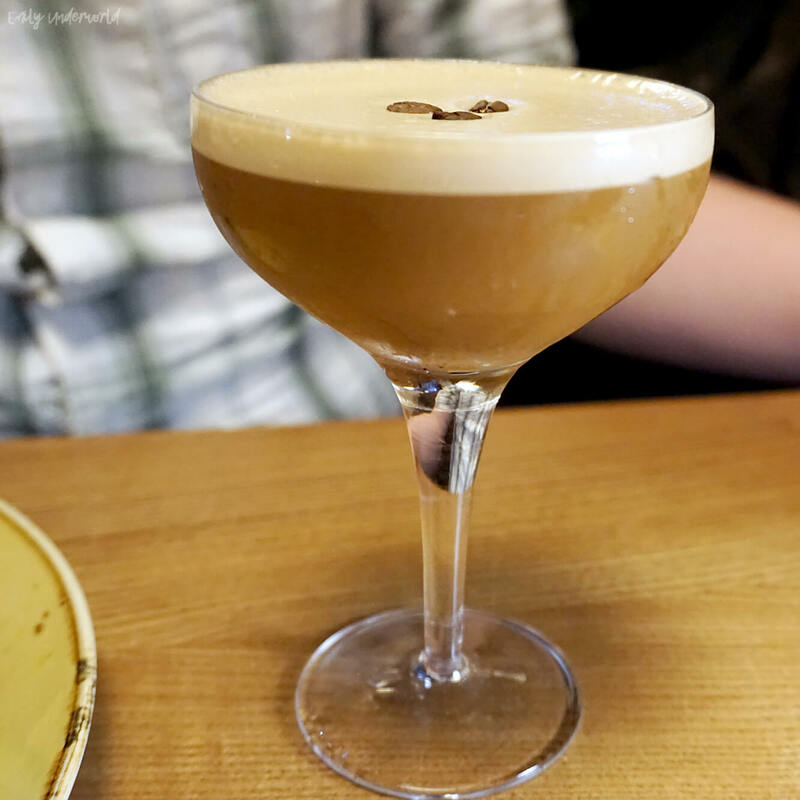 I’m not a fan of espresso martinis myself (this one was Ollie’s), but he says it was really good! 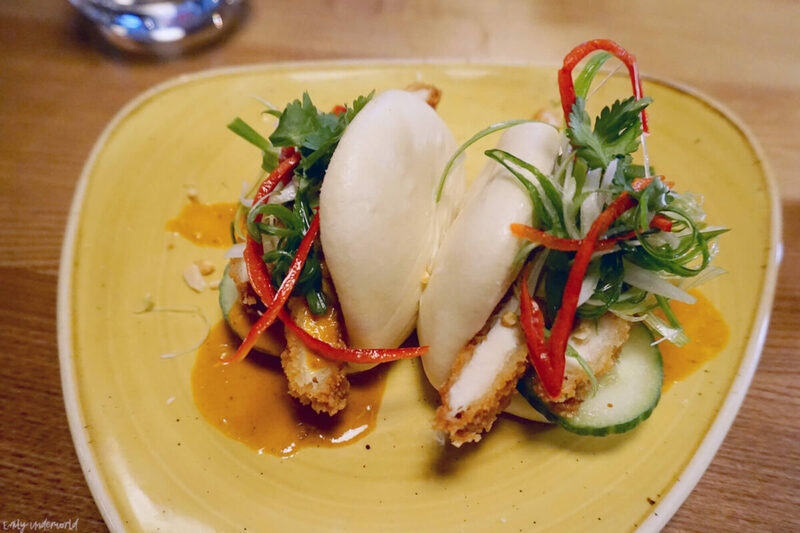 Honestly I’d say it’s worth visiting Giraffe just for these katsu buns. They were so good, definitely the highlight of the meal for me. YUM. 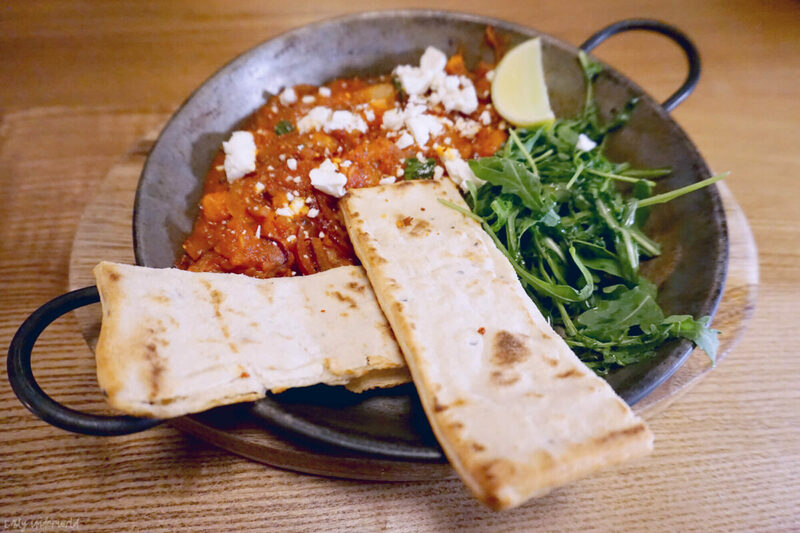 Ollie went for the prawn saganaki, and I tried a bit of the sauce (I don’t like prawns), which was great with the bread and feta cheese! I want to go back to Greece now, their food is amazing. 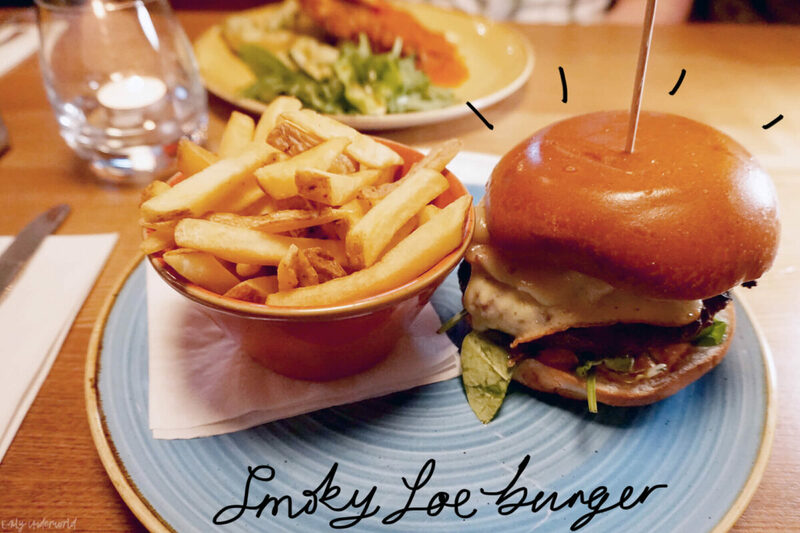 I was in the mood for a burger, so I chose Giraffe’s classic Smoky Joe, which comes with bacon and smoked cheddar – the perfect burger toppings. As you can see from the picture, it was absolutely huge, so I barely managed half of it. 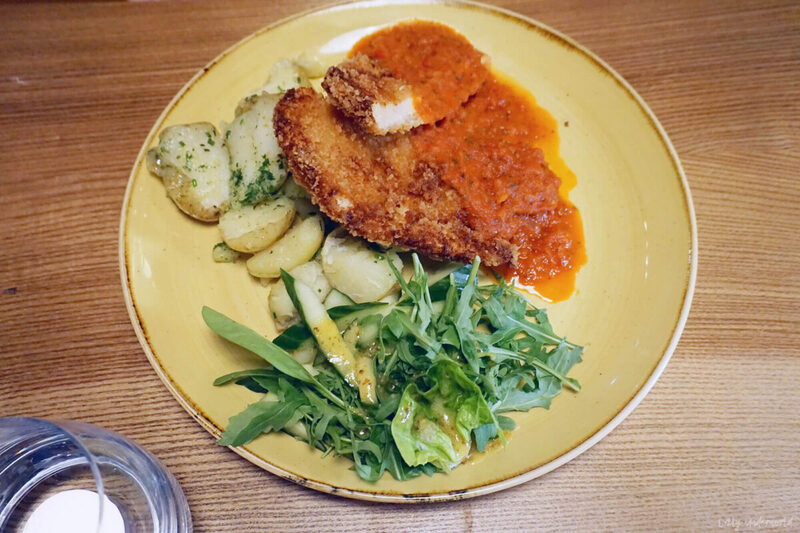 Ollie had the Chicken Milanese, which was absolutely delicious – I wish I chose it too! Giraffe have so many main courses on their menu, I’ll definitely be returning to try out something else, probably their Chicken Malay Curry! After our food and cocktails, I was absolutely stuffed. 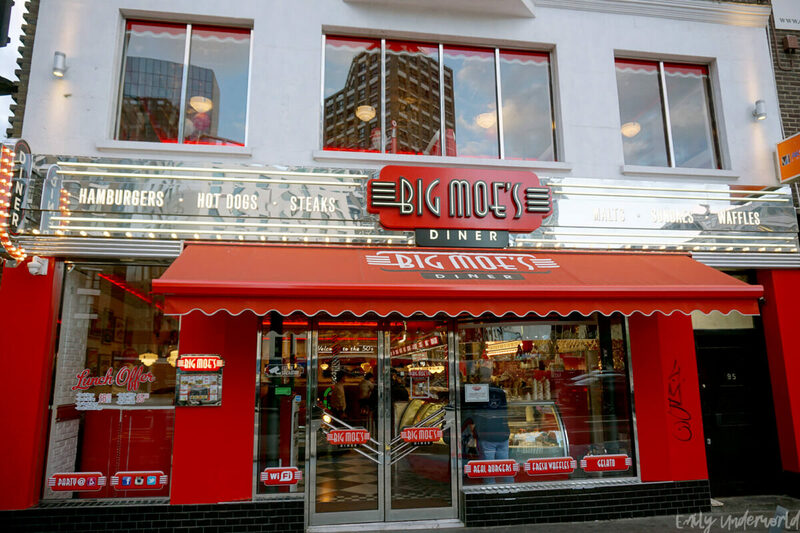 Thankfully the staff were awesome and they didn’t pressure us to have dessert right away and told us to chill out for a bit before ordering. 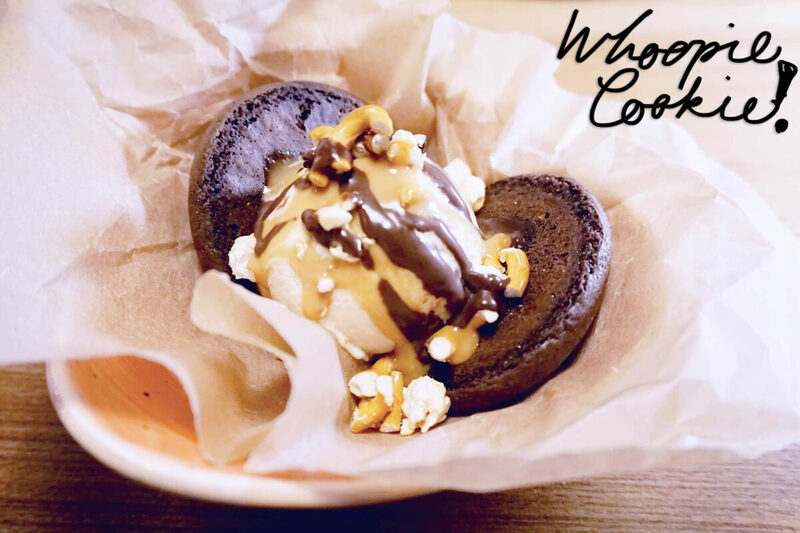 The Whoopie Cookie stood out to me right away, and it definitely lived up to my expectations. The popcorn and pretzels complimented the ice cream and cookies so well, it was delicious. 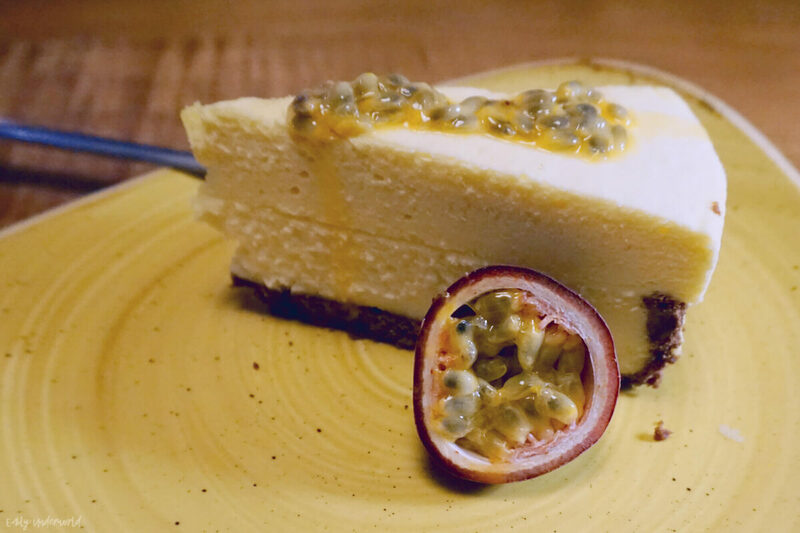 Ollie can never resist a cheesecake, so he picked this white chocolate and passionfruit one. I didn’t try any because he demolished it as soon as I took a picture! After our delicious meal, we went just down the road to our local cinema, Genesis, to see the new Wonder Woman film – it was so good, I definitely recommend it. 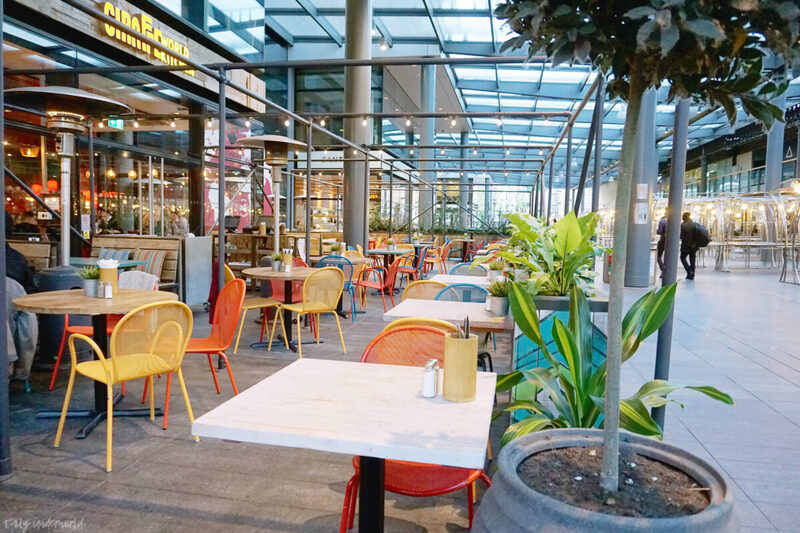 We had such a lovely time at Giraffe World Kitchen, the food and drinks were fab, and the service was great. 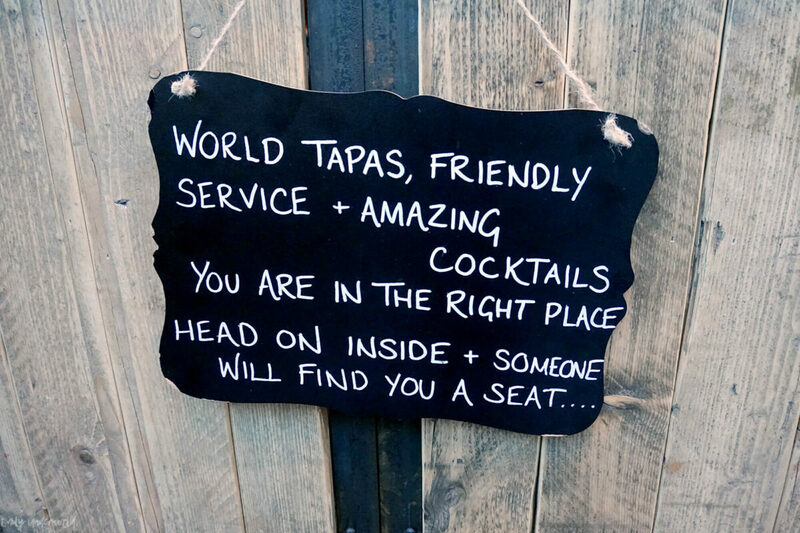 We’ll definitely be returning, I want to try out their tapas! 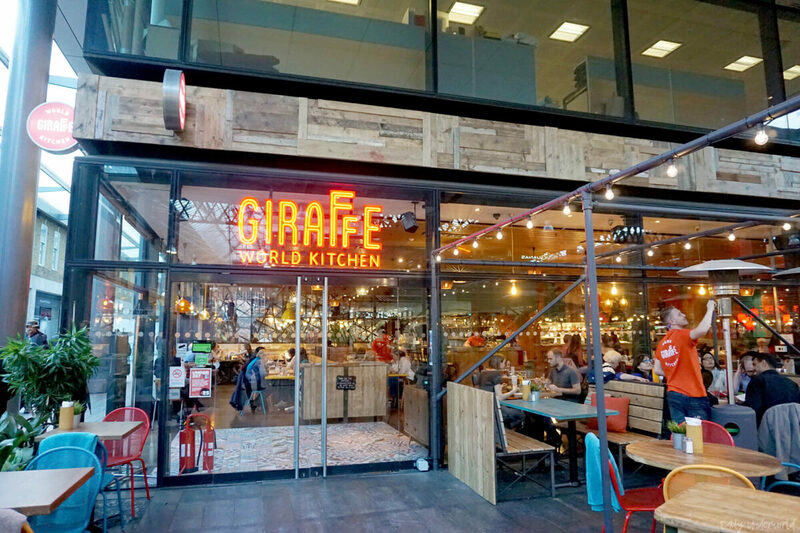 Have you been to Giraffe World Kitchen?